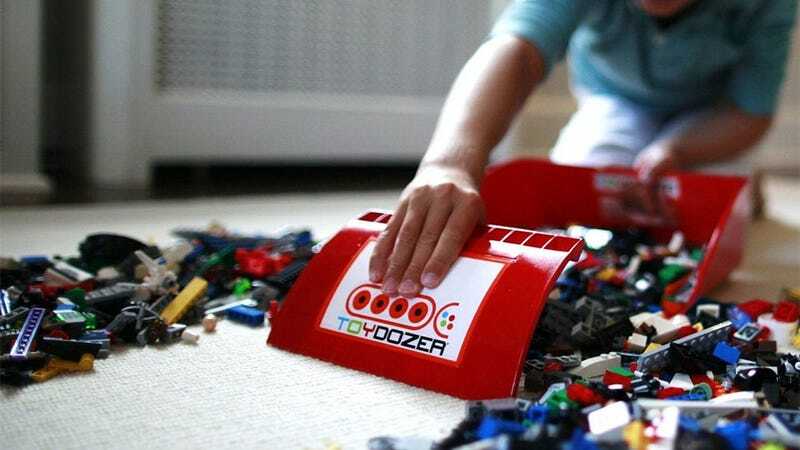 Where The Hell Was This LEGO Cleaner When I Was A Kid? There are two sides to every LEGO play session. The ecstacy (the playing!) and the agony (the cleanup). All those tiny pieces, all the ways they could get lost, or stuck in the carpet, ungh. So this LEGO scooper invention deserves as many design awards as its creator's shelves can hold. It's so simple. Just a plastic contraption that's part dustpan-and-broom, part windshield scraper. You hold the "pan" on the ground, and scoop the LEGO right into it. 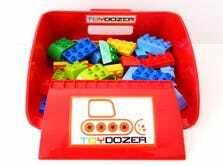 It was first released last year, the invention of a mum who used a shoebox to scoop up LEGO, a process that worked so well she took it to the market. I mean, you could use it for anything, but it was born of LEGO, and it's LEGO that it'll surely get used for the most.